Got a road trip coming up? (SPOT.ph) About an hour’s drive away east of Manila is Antipolo, a popular weekend getaway for its fresh air and spectacular view of the Metro. A lot of people come here because it’s been a well-known pilgrimage site for decades, but it’s now also gaining popularity for its unique dining destinations as well as cool accommodations. 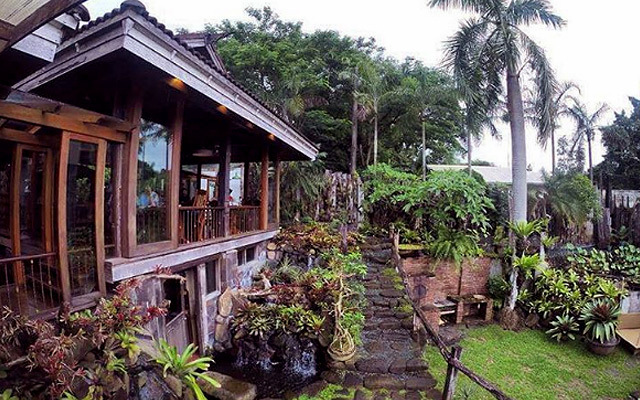 If you need a break from the city, Antipolo might just be your next escape. 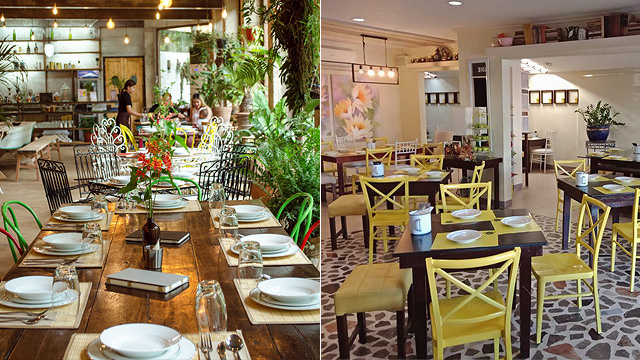 Burrow Café is probably Antipolo’s best-kept secret—no more. Serious foodies have spread the word about this hidden garden haven that city-dwellers often flock here on the weekend. Their rustic and cozy ambience featuring mismatched furniture and lots of greenery set the mood for a romantic dining experience. The restaurant’s menu highlights all-day breakfast fare, like the mouthwatering and true-to-its-word-succulent Tender Beef Tapa (P320), and Salmon Poke Bowl (P475), which is perfect if you’re looking for a light but tasty lunch. Save room for coffee and dessert, and don’t hesitate to lounge in their comfy hammocks after a filling meal. 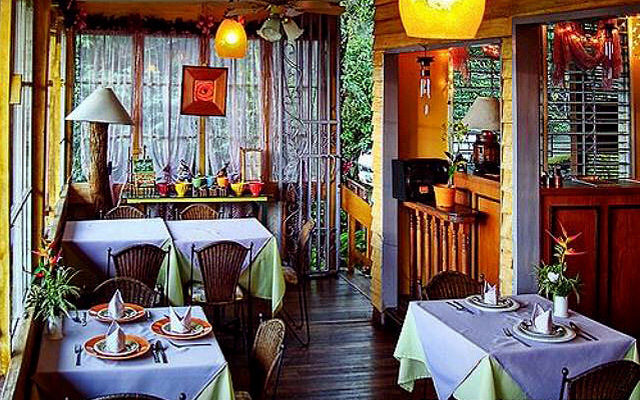 Burrow Café is at 113 Beverly Hills Avenue, Beverly Hills Subdivision, Antipolo City. If it weren’t for their signage, you’d think that Vieux Chalet was a private residence because of their homey appearance—their laid-back vibe extends to their interiors, peppered with antique knickknacks and whatnot. This popular date place also has big windows, which give diners a scenic view of the city. Since it’s a Swiss restaurant (and probably the only one of its kind in town), it would be a shame to miss their Cheese Fondue (P1,150) or Raclette Festival (P1,600). Besides those gooey and cheesy creations, they also offer pizza, pasta, and meaty entrées like a tender Lamb Shoulder (P1,350) that goes well with the resto’s garlic-butter spaghettini. Looking for a night cap? Vieux Chalet also has a bar with an extensive wine list. Vieux Chalet is at 456 Taktak Road, Sitio Sampaguita, Santa Cruz, Antipolo City. It’s inevitable to feel bright and cheery once you enter Yellow Lantern Café and see pops of yellow, from the chairs to their light fixtures. But what really makes this a notable food stop is the majestic view of the Manila skyline, which is even better at night. After starters, go straight to their much-raved about specialties like the Baby Back Ribs (P320) and Umaapaw in Paellera (P450), or Filipino-style paella with bagoong, salted duck egg, longganisa, and dilis. End your meal on a high note with a monster milkshake called Vanilla Ecstacy (P395), loaded with marshmallows, chocolate wafer bars, candy sprinkles, and even Koko Krunch. 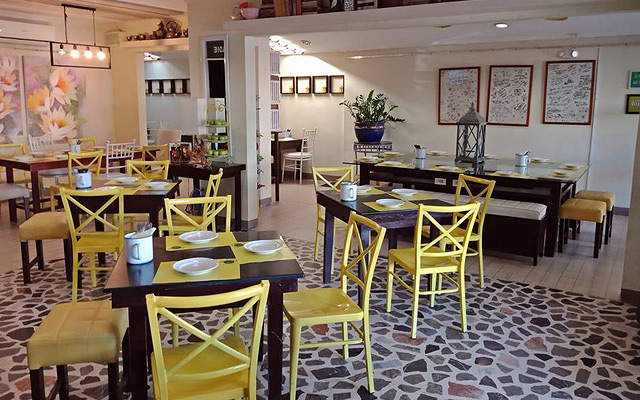 Yellow Lantern Café is at Comodaville Building, 267-269 Sumulong Highway, Mambugan, Antipolo City. You’d feel like taking snapshots of the garden-inspired interiors and amazing outdoor view here because everything is Insta-worthy at Yellow Bird Café x Kitchen. 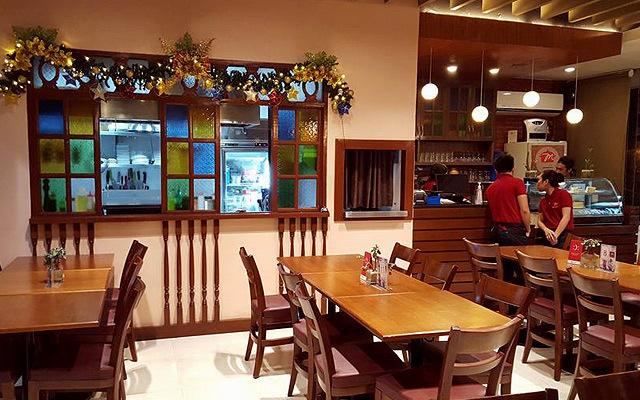 The place is great for afternoon hangouts as well as brunch, while their food is a good mix of Western and Asian cuisines. A lot of people come here for the café’s specialty brews, which are made from fresh coffee beans. They take their coffee seriously here (you’ll see from their customized La Marzocco espresso machine), so you can’t go wrong with any of their espresso drinks, like the Café Latte (P125). Pair it with any of their sandwiches, like the classic Club Sandwich (P185) or Monte Cristo (P195) and you’re all set. Yellow Bird Café x Kitchen is at Lot 3 Block 2, Mission Hills Boulevard, Mission Hills Subdivision, San Roque, Antipolo City. Crescent Moon Café is far from the usual, urban coffee-shop mold that you’re used to because this café has a lot of color and character inspired by nature. 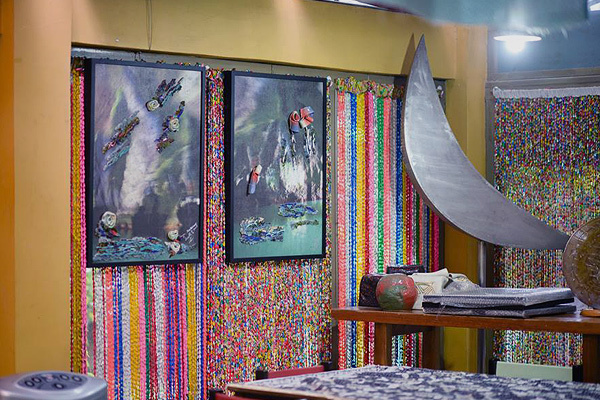 You’ll see it in the furnishings, hanging woven textiles, printed tablecloths, koi pond, not to mention the food. Their cuisine focuses on Southeast Asian fare, while health-conscious eaters will easily find worthy options here as well. Two of their most ordered items are the Alagao Salad (P300), a savory veggie wrap that could change the mind of the most serious carnivores, and Suman at Mangga (P80), a famous sticky-rice delicacy in Antipolo. Reservations are encouraged, most especially for their weekend buffet offerings. 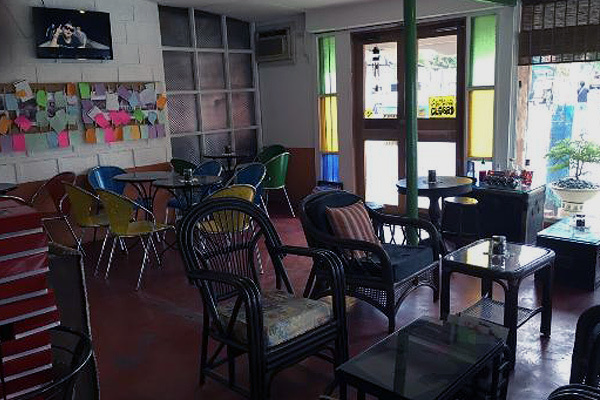 Crescent Moon Café is at Ascencion Road, Barangay Dalig, Dalig, Antipolo City. Marison’s might look like your classic Filipino restaurant, but their food is anything but traditional. You’ll find familiar dishes with twists on their menu like the Crispy Tripe Kare-Kare (P445), which has tender beef and crispy deep-fried tripe swimming in a thick, savory-sweet peanut and cashew-based sauce (Fun fact: Cashew nuts are a popular pasalubong from Antipolo). Leave space for panghimagas like their Triple Mais Con Hielo (P120), with corn-flavored bingsu-like ice, sweet corn kernels, and crunchy corn flakes. Marison’s has branches at 2/F Vista Mall Antipolo, M.L. Quezon Extension, San Roque, Antipolo City; UG/F SM City Masinag, Mayamot, Antipolo City; and UG/F Robinson’s Place Antipolo, Dela Paz, Antipolo City. 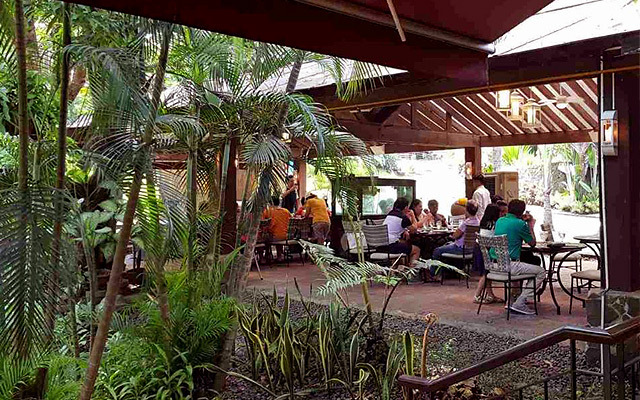 Aside from their Filipino food with a fresh twist, you’ll also appreciate the relaxed atmosphere at Tipulo Modern Filipino Cuisine, which plays up the natural garden setting into a beautiful al-fresco setup. In case you’ve been there before and have already tried their all-day breakfast meals and other items, you might want to let your taste buds explore their newer dishes such as Sisig Pasta (P365), Chicken Inasal Sticks (P235), and Skewered Bistek Tagalog (P380), which are all pretty much what they sound like. 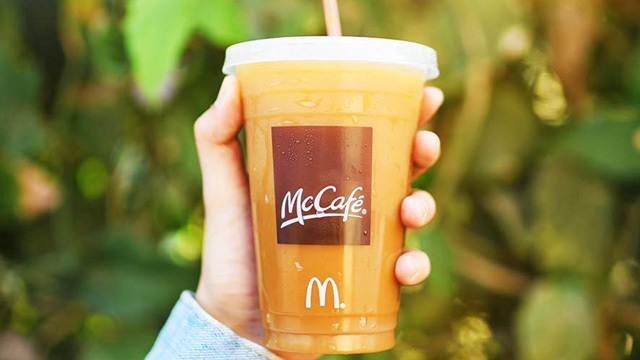 Who knows, you might just discover a new favorite here. Tipulo Modern Filipino Cuisine is at First Pacific Leadership Academy, Kilometer 27, Sumulong Highway, Santa Cruz, Antipolo City. 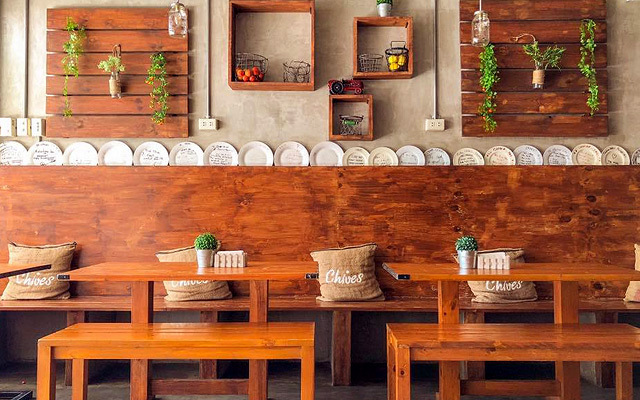 Chives Bistro & Market is one of the coziest restaurants in Antipolo. Maybe it’s because of the wooden accents amid the cement walls and floors, or probably because there are a lot of homey good eats for you to try here. Whet your appetite with their extensive offerings that range from soups, salads, sandwiches, pasta, and more. Something that you won’t see often in Antipolo restaurants is the Grilled Salmon with Mango Calamansi Salsa (P320), with perfectly grilled and succulent salmon. The Thrice Cooked Spicy Chicken Adobo (P280) is another notable dish, which features chicken that’s flavorful down to the bone. Chives Bistro & Market is at G/F APS Crowne Plaza, L. Sumulong Memorial Circle, San Roque, Antipolo City. 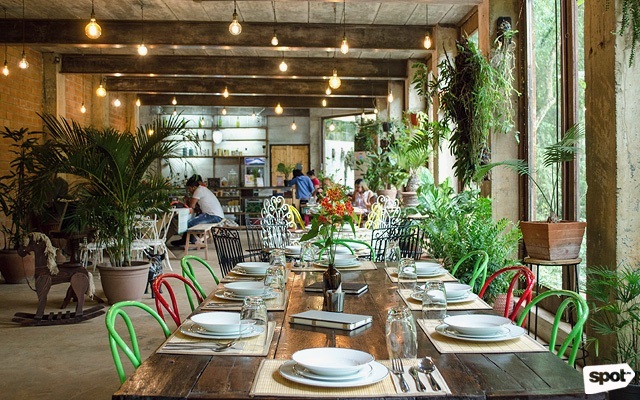 Casa Abuela is a casual, no-frills eatery that offers a lot of Spanish and Filipino entrées. If you plan to order the Spanish Callos (P250), a serious crowd favorite, you’ll be happy to know that it also comes with a slice of cake—the same goes for all their other main-course meals. Satisfy your sweet tooth with some of the best-selling sweets, like the homemade Brazo del Cielo (P100/slice) and the Cashew Sans Rival (P120/slice). You might even be tempted to bring home a whole cake as pasalubong. Casa Abuela is at 167 Ortigas Extension Avenue, San Roque, Antipolo City. 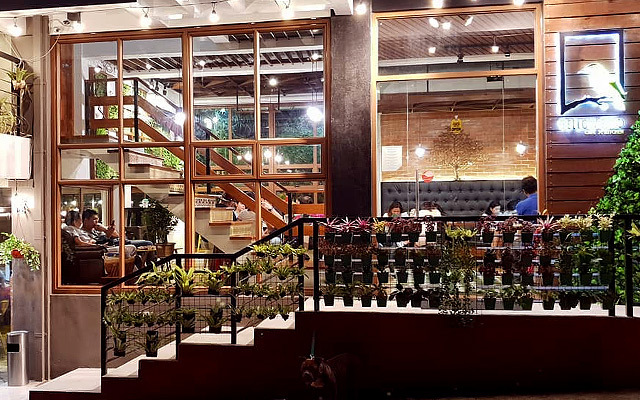 Tahanan Bistro would be your best bet if you’re looking for a place in Antipolo where you can just relax and have a great meal with friends. Before stepping inside their spacious dining area, which has eye-catching floor-to-ceiling sliding doors and locally crafted furniture, you’d need to remove your footwear, making you really feel like you’re at an Asian home. 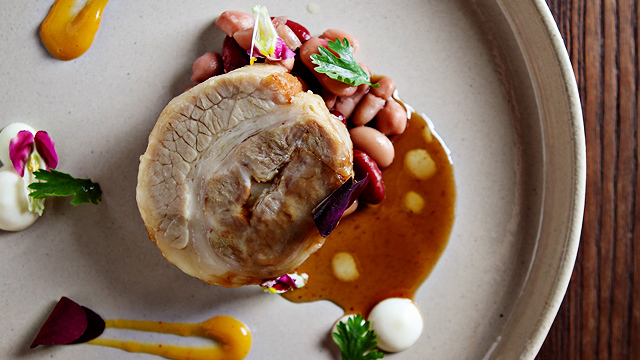 This 32-seater bistro has a simple selection of set menus, which change every three months. Whether you order the Arayat, Banahaw, or Kanlaon set menu (P1,200/head), you’ll be presented with a luxurious and modern five-course meal inspired by Filipino flavors. As of writing, the Kanlaon set includes an interesting combination of squid-ink pizza, ubud with smoked milkfish, pares, and ube. Reservations are recommended. Tahanan Bistro is at 22 Loresville Drive, Lores Farm Subdivision, San Roque, Antipolo City.